Optical crystal award SY1091. 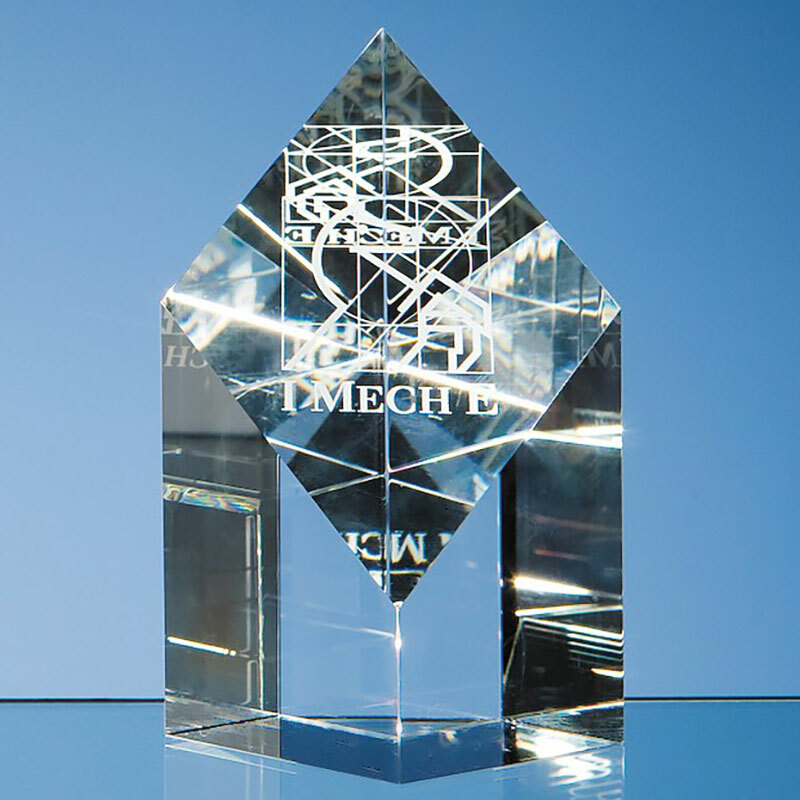 A contemporary crystal award in striking diamond tower shape design with diagonal plane cut from the top. 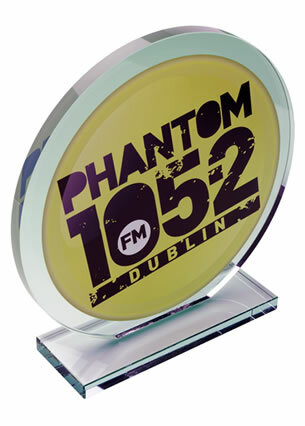 Stands 13cm tall, supplied in a black foam lined presentation box. Engraving and/or colour print options. The crisp, angular design of these awards combined with the flawless optical crystal material and precision finish are a study in perfection. These elements create an award that is worthy of presenting to any winner who has demonstrated perfection in their field, from corporate award winners to sportspeople to 'life's winners'. The 13cm tall awards feature a rectangular 'tower' with a diagonal plane cut from the top, creating a diamond shape slope. 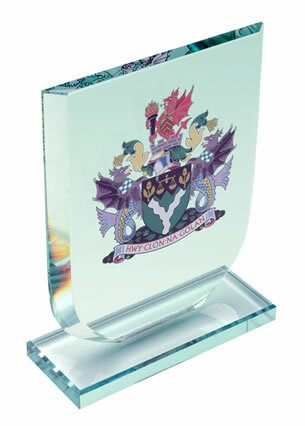 This slope is ideal for customising, and these contemporary crystal awards are offered with engraving and/or colour print options. An optional clear optical crystal base (SY1080) is available. 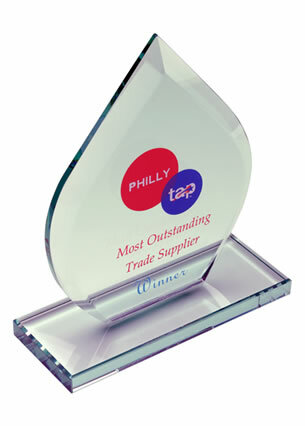 Each award is supplied in an attractive, foam-lined black presentation box.